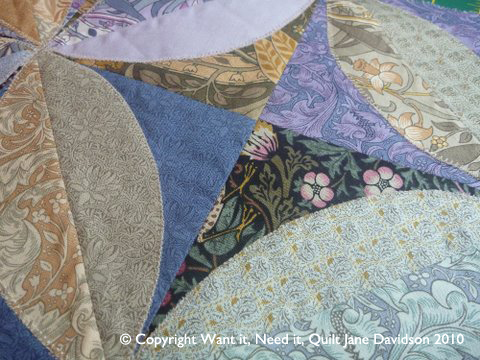 It has been a great day for designing and sewing on this wet, wet, wet Sunday afternoon. 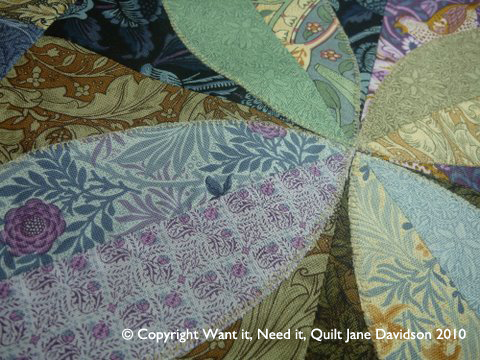 Here is a snippet of something I am making for the Moda Bake Shop. 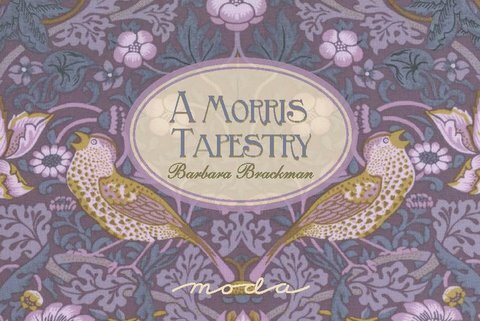 I have used the ‘A Morris Tapestry’ range from Barbara Brackman for Moda. ‘Love this collection. I love all the purples in that range! Your project looks interesting too. Hope you are staying dry. Mmmm, that's pretty! I wasn't really sure about this fabric line for myself, but I like what you're doing with it – you may change my mind!! Oh my ~ that looks beautiful! I can't wait to see the finished project. 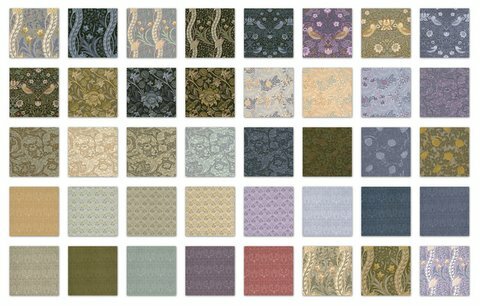 Oh my, those fabrics look yummy! Just smooth and beautiful! Looks like it's going to be a lovely project!